January 7, 2019, marks the official launch of my online fitness group, Fit2BeMyself Masterminds. It’s funny. Around this time last year, I would have never guessed that I would go in this direction. I have certainly had my share of hits and misses in entrepreneurship in several fields, but fitness was never on the radar. I suppose that’s what happens when you finally decide to care for yourself. You eventually attract people who actually care about your success. You discover talents and interests you never thought you had. I have said it before and I will reiterate now, weight loss isn’t my focus. Good health and functionality are my goals. Weight loss has happened as a result of my efforts. I’m not finished yet. This is a journey that doesn’t necessarily have a destination. Good health doesn’t necessarily look like a single digit pants size. 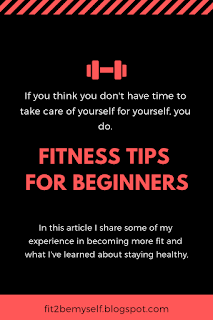 So, here are a few tidbits that I’ve picked up that you may find helpful in your fitness journey. Don’t eat immediately before going to sleep. Specifically, don’t eat a pint of ice cream at midnight then expect to get up and perform at your best during your workout the following morning. That was a very specific example because I know this from experience. As a result of me doing this, it finally “clicked” in my head how food affects my body aside from me gaining weight. It was what piqued my interest in nutrition. This is also what led to the other revelations about I’ve had about food and fitness that I’m going to share next. It sounds a little cliché because it is a phrase used so often. However, I think a lot of people, or maybe it was just me, have/had no clue on what that means or how to start doing it. In short, pay attention to what you eat and how it makes you feel. Pay attention to how you feel after your workouts and how each exercise makes each part of your body feel. Yes, be that specific! In another post, I talked about how I started delaying my breakfast instead of eating soon after waking up because it makes me feel more energetic and lighter on my feet throughout the day. That change came as a result of years of feeling terrible after eating a big breakfast or just not a very healthy breakfast and feeling sluggish and ready to get back into bed afterward. Eventually, I applied that to dinner by not eating after a certain time of night. Intermittent fasting isn’t the solution for everyone, but through research and trials, I’ve learned that it works for me as far as having more energy throughout the day. That all came once I really started to give myself more attention and make note of every little thing I noticed happening to my body as a result of changing my habits. As part of listening to my body and becoming more intuitive I have learned that simple carbs make me sleepy, too much dessert (which falls into the simple carbs category) tastes like heaven but makes me feel like hell, and that protein-rich food (just a couple of pieces of chicken alone without any sides) can carry me much farther through my day without me feeling hungry or mindlessly snacking than a biscuit can. If you have ever heard the saying “Abs are made in the kitchen,” it is completely true. I still enjoy my cookies and ice cream, which is why I don’t have a visible six-pack. However, I have lost a lot of body fat because I changed what I ate by decreasing the simple carbs and increasing my protein intake. I’m not only talking about before and after pictures, which can be very telling in how much progress you’re making. I’m talking about keeping a journal of your efforts. I use apps on my phone as my journal: Fitbit, Flo, and a water tracker. Not only do I get to see measurements of my health like weight, BMI, and step count, but I can record whatever symptoms I’m experiencing during my monthly cycle, I can record which exercises I did and how much water I drank. I could probably benefit from keeping a food journal, too, but I am learning to become more intuitive about what I eat and drink. Our bodies are roughly 40-60% water. Several health sources say that you should drink around that much of your body weight in ounces of water every day. Ex. If you weigh 150 pounds, then you should aim to drink 75 ounces of water per day. Many other health and nutrition sources say that 64 ounces per day will suffice. I aim for a minimum of 64, but my goal is 96. I average about 80 ounces. However, I believe that half of your body weight in ounces is probably the best route for most people. Drinking the right amount of water can truly change your life. It’ll help keep your insides clean, which is the most important part of your overall health. I have a post about water I plan to publish soon. You’ll never know how much you can do until you try to do things that you think you can’t. I don’t like doing high-intensity workouts, in general, but I like how I feel after I do them. Along with those feel-good hormones that are released when I have a good workout, mentally I feel like I can conquer the world! It’s okay to push yourself. You’ll be more likely to try new things and find activities that you really enjoy if you do. Modify when you need to. Exercise should make you feel sore, not hurt. 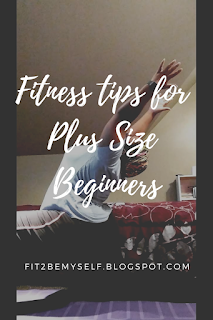 If you’re feeling sharp or more than just some muscle soreness, or the workout is too intense, slow down a little and make the necessary modifications. One thing I’ve learned from practicing yoga for the past year is that it is certainly okay to move are your own pace and make modifications that enable you to perform better. Do what you can, modify what you need when you need, and feel good about the fact that you are doing something great for you. We tear our muscles down when we exercise. We rebuild them when we rest. A full 8 hours of sleep seems, or maybe is, unattainable for a lot of people, but it is a very important part of good health and fitness. Rest coupled with good nutrition make all the difference. You can exercise every day for several hours a day, but if you don’t get several hours of rest or have rest days, then you won’t get the results you’re looking for. Be good to yourself and stay committed. Motivation comes and goes, but commitment is what will keep you going. I know you can do it! Are you interested in starting your own fitness journey, but you need a little help? Join my fitness group using the form below. Workout with me! Join my FREE online fitness club. Great post! I have been trying to stay hydrated, and never eat before bed and I can honestly say that I feel much better and I am starting to see positive results in my body. 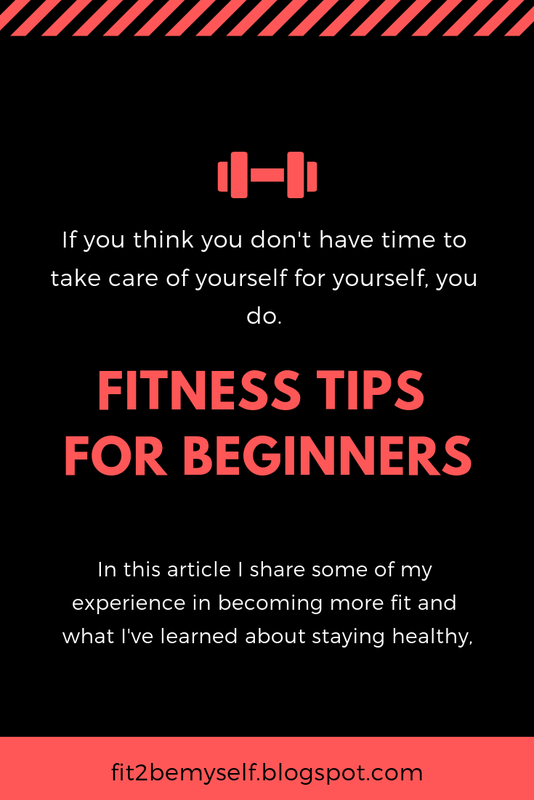 Thanks for sharing these tips of healthy living! Small changes like that can make a huge impact! Thanks for stopping by! Eating is 80% of the battle. Keep restarting if you have to! We can do this!